Some people get their partners chocolates and flowers for Valentine’s Day, mine got me makeup…and flowers. 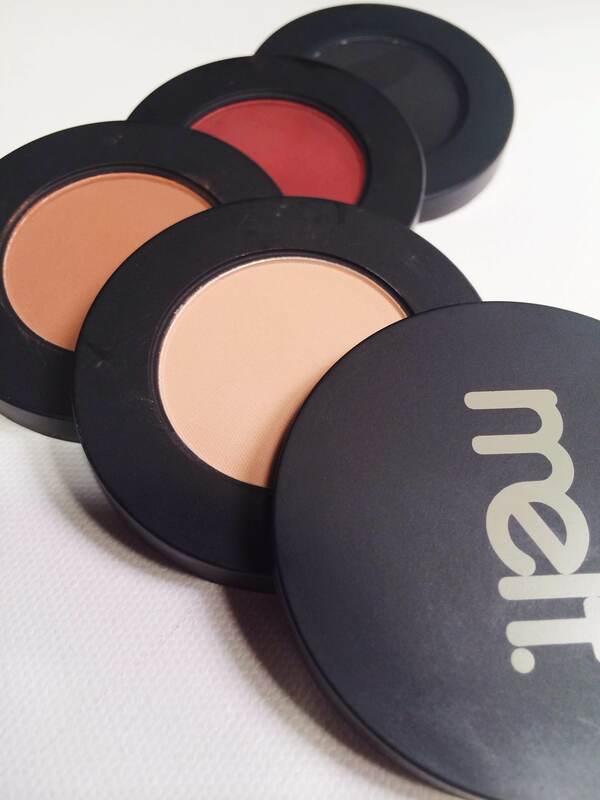 I’ve been legitimately lusting over the Melt Cosmetics stacks since they came out. They’re just so perfect and right up my alley. 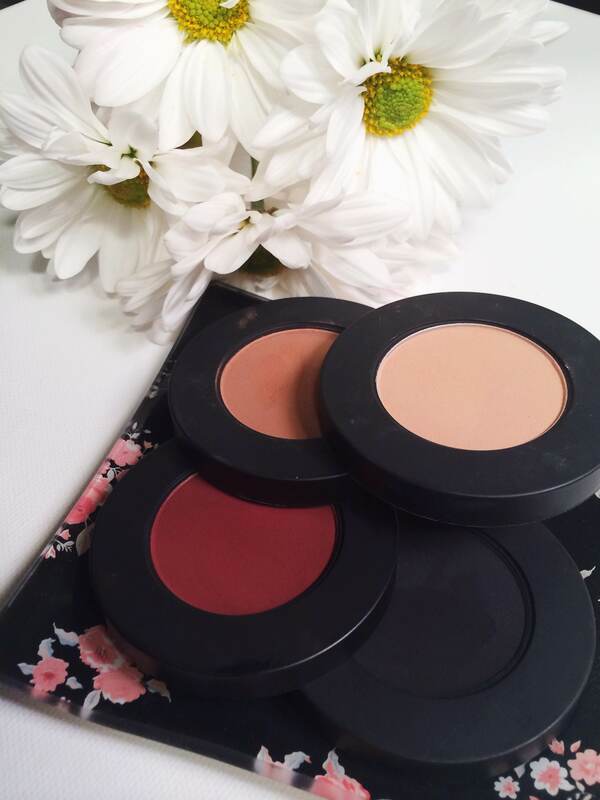 Matte, grungy, cruelty free…and expensive. Everything I love is so expensive it seems. So, Jeremy told me to order it a few weeks ago, and I was ecstatic! I have never stalked a tracking code so hard. Okay, that’s a bit of a lie…but I was very excited. Let me first say that the shipping was super quick! It took about 2 days to arrive at my door, and it came in a cute black box that was very well protected. 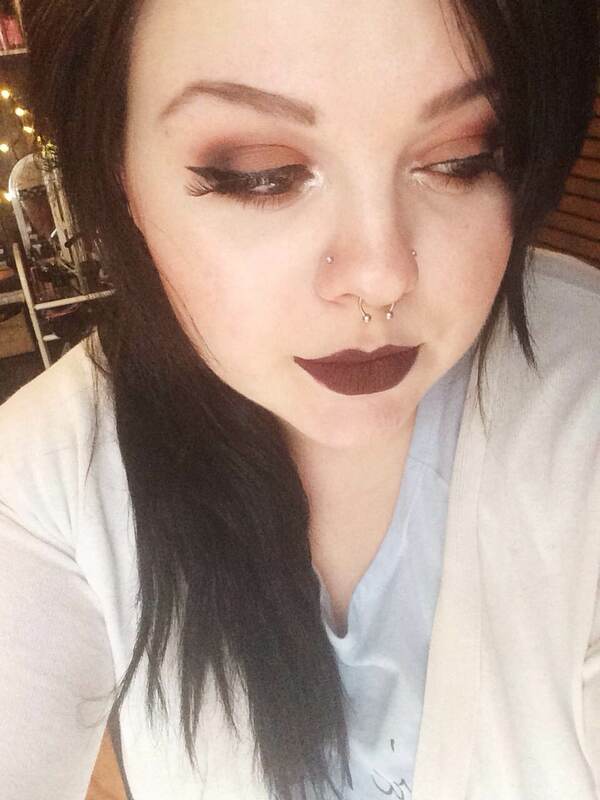 If you’re not familiar with Melt Cosmetics, they’re mostly known for their matte lipsticks, it seems. However, they came out with these eyeshadow “stacks” that seem to have taken the instagram world by storm. I’ve seen them everywhere, and it’s made it hard to get them out of my mind. The stack itself is composed of 4 shadows that are magnatized, and the top is a mirror, which I found pretty nifty. The shades include Blurr, Unseen, Enigma, and Dark Matter. There is another stack called the “Lovesick” stack, but it’s not exactly my style. I wanted the grungier stack. About the formula These are extremely matte shadows. 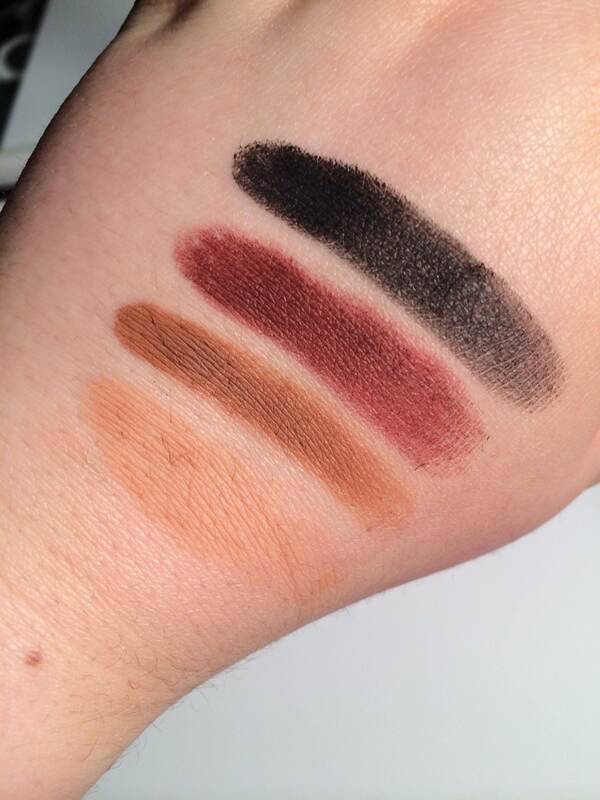 When I swatched them I noticed they are so matte they seem a bit dry and patchy, and that concerned me. However, once I applied them to my eyelids I noticed these are very easy to blend and super pigmented. I have never worked with matte shadows as pigmented as these that are also easy to blend. Sometimes with matte shadows if you try to build them up the look appears chalky and it becomes harder to blend…I didn’t have that problem with these. How they wear They wear very well and did not budge on me. They didn’t smear or look dry after a few hours. All around amazing in terms of how they wear. I do try out all shadows with a primer, because that’s how I always wear my eyeshadow. Any Tips? If you have dry eyelids like me, you may want to use a creamier base like a concealer and top it off with a bit of setting powder. The setting powder will make it easier to blend out the colors. I also moisturize my eyelids every morning as well…because I was genetically blessed with snake skin lids. Swatches Like I said before, these shadows are very matte and it was hard to get smooth swatches on my skin. Blurr- a very light brown that I think can be used as a perfect crease color, but it’s purpose is supposed to be to “blurr” anything that needs to be blurred in a look since the other colors are so dark. Unseen- A darker warm brown. I adore this shade. It’s everything I love in warm brown shades. I feel this would be an ideal shade to do cut creases with, which is probably what I will try next. Enigma- Probably the main reason why I wanted this stack. A rusty red shade. Very “color of the year.” I am obsessed with this color. So pigmented and pretty. Dark Matter- your standard matte black shadow. This is super black. 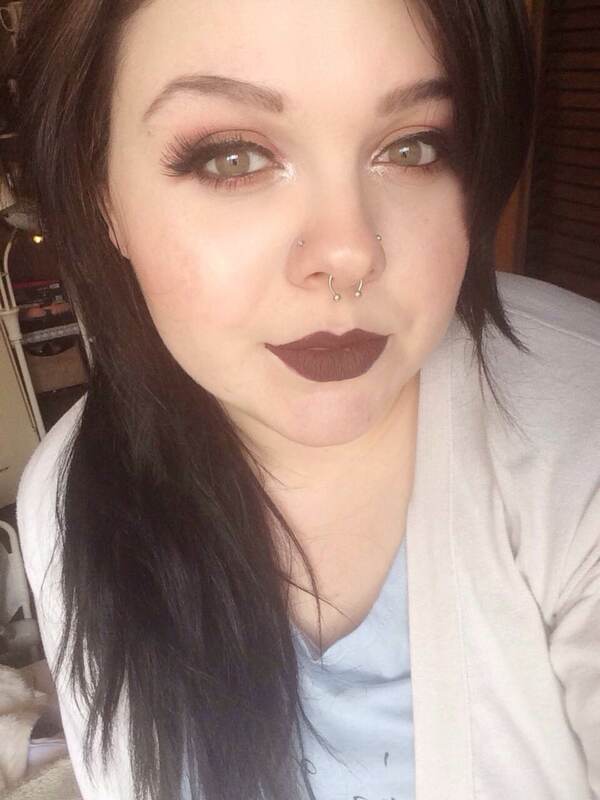 Like the blackest shadow I have ever owned…and that includes the Kat Von D matte black shadows. If you use this for a smokey eye, be wary and tap your brush or risk turning into a panda. A matte black is always handy in sets like this, in my opinion. This is a look I did using all 4 colors in the stack. I did use “blurr” to blur out the outside and smooth any harsh lines out, and it did just that! Overall I absolutely adore this stack. From the packaging concept to the colors themselves…I am so happy that I finally own this. I’m a grungy girl at heart that loves a great smokey eye, and this stack has everything I need to do that without having to reach for multiple single shadows and palettes. If you own this, tell me your thoughts on it? Link me to your reviews and looks?